UPDATE: With the random drawing, “CD ageS” wins the sticker! Thanks for your comments! Thanks again for your support and here’s some of the videos I have posted over the last week from IAAPA. I am very close to done on editing these and I will have the IAAPA mega post up as soon as that is done. Happy Bday AH! I simply love this site. I still am enamored with coin ops ever since being a kid back in the day. Anywho, I would have to agree with first post in my favorite post being about what its like to operate an arcade (Game Grid) in this day in age. Your selection of games and how well they earn. How you keepcthis fresh and appealing to your potential patrons. I hope I can one visit Game Grid as well as many other arcades around the USA. If using the same example as the previous post doesn’t count, then I there plenty of others that I enjoyed. Your retrospective look on the Sega NAOMI platform that you did for the recent Dreamcast anniversary was special to me. I love Dreamcast but more importantly I love its counterpart, the Naomi arcade platform. So many wonderful games to look back on. 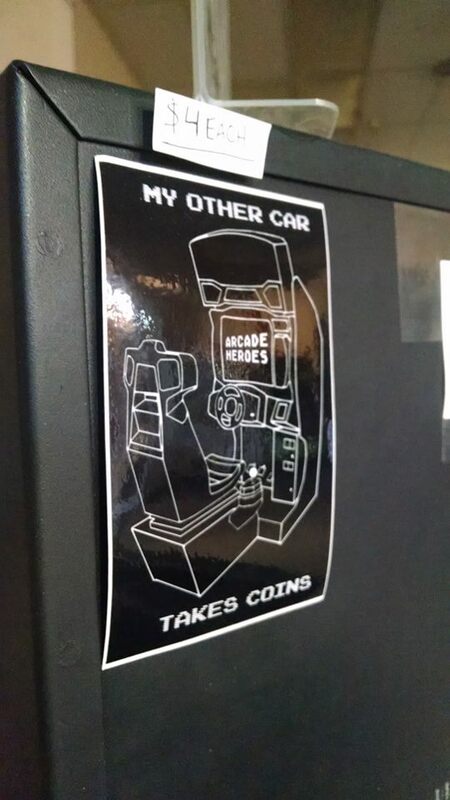 Happy belated birthday Arcade Heroes! I like the stories you ran about Dariusburst: Another Chronicle when it was brand new. Talking about how joystick games are still well received in Japan, and talking about the line around the corner of Taito HEY in Akihabara and how exciting that all was.